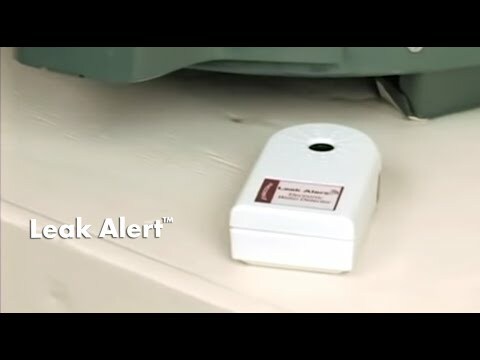 Prevent serious water damage with help from the Leak Alert™ water detector. This self-contained battery-powered unit will sound a loud alarm the second it gets wet, alerting you to a potential water leak. The Leak Alert™ has two external metal strips with mild electrical current running through them. If both strips get wet, through a plumbing leak, flood, or surrounding moisture condensing on the surface, the electrical circuit will complete and the alarm will sound. Make sure the Leak Alert™ is placed on its back with the metal contacts touching the surface. You can test the unit by touching both strips with one finger, but be prepared for the loud alarm!